This blog has been created with the spark of energy and inspiration back in 2014. Mostly as the notebook of thoughts, discoveries about life and expression of creative self..
Somewhere along the way, intuitive writing, photography and painting became an interesting mix of looking at life from another angle.. Enjoy reading this blog through the lens of my camera, the touch of artistic self and storytelling on canvas. Thank you.. and best of luck with your blogging journey.. Cheers from Ireland, Swav. Have you had a chance to visit my website, Swav? I welcome your feedback and interactions there. I’ve just seen your blog.. plenty of creative self expression.. I like your article about cosmos here: http://bit.ly/2BfLgoW.. Keep being creative 🙂 Cheers! Thank you, Swav. I look forward to your leaving some comments at my blog, just as we have done so at yours. 🙂 May you have a lovely weekend! It is a multidisciplinary website, where you are free to explore and enjoy to your heart’s content. Thanks for following my blog. I’m happy to have you along for the journey. Hey there Newbie Spikey! Thank you… I really appreciate that as I for one, know how many interesting and entertaining blogs are out there. Blogging since June 2013, my aim is to deliver an eclectic offering of posts, from my ‘point n shoot’ attempts at basic photography, to the sharing of my travel adventures over the decades, as well as day to day happenings here on the farm. Oh, plus a few observations, opinions and lighter-hearted stuff thrown in for good measure…..
I’m normally not a big fan of art but your paintings are a breath of fresh air! They definitely brightened my day. Oh the new badge looks so cool! I look forward to reading your post when you can… It’s a well-deserved award for you . Lol! Yeah it could’ve looked a lot different! Glad you got an espresso and a cool new badge..
Wow congratulations to you! And oh no one is in a hurry 🙂 take ur time. My absolute pleasure! Your work is very interesting and inspiring and so it’s no surprise that you have been nominated many times! Of course take your time! I took over a month to respond to mine – they can be time consuming! You sound like a very content person; your happiness shows in the colors of your work. 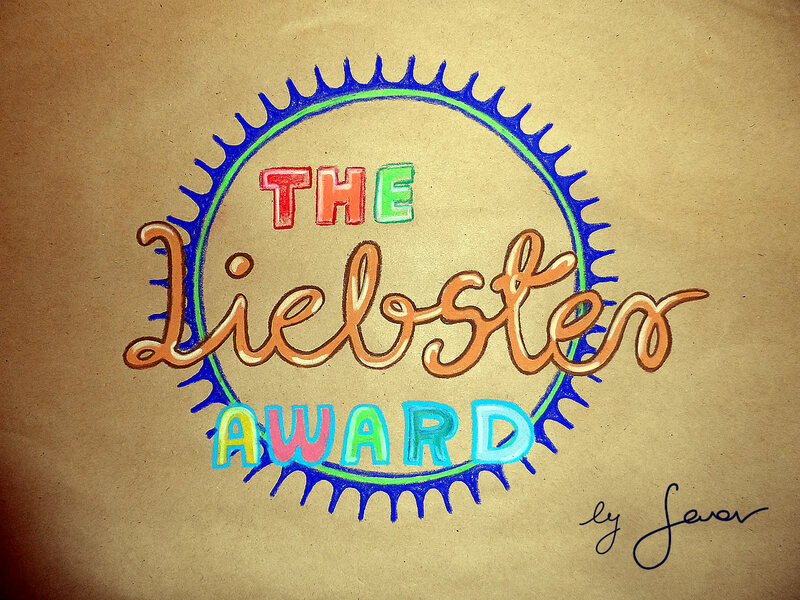 I love your creative version of the Liebster. I’m making a copy of your beautiful version of theaward to put on my page, since you say that’s ok 🙂 . I will link to this page and give you credit. Thanks for connecting! Great blog, love your art. Thank you.. as I can see on your blog, you are based in Russia 🙂 I’d love to see some parts of Moscow or any other city from another perspective.. or through the lens of photographer 🙂 Cheers from Ireland! Well, I will try to show more of Kazan. It’s fall now and I’m back full time teaching, so my time is limited. Thank you very much.. I will have some smile from within.. as I guess. Good luck with your blogging venture! What’s the story of your photography? Hey Swav. WP is such an interesting place where you meet so many talented people and I’m certainly happy to have connected with you. Thank you for the comment – The talent itself is like the river of which.. You recognize yourself as an artist. Enjoy your day! Swav.